Free Shipping Included! 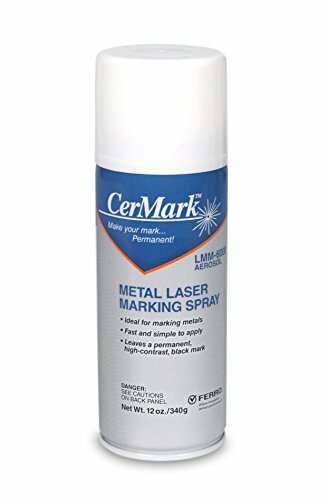 CerMark LMM-6000 Black Laser Marking Technology for Metals (12oz Aerosol) by Spotted Dog Company at Enria Industries. MPN: LMM-6000. Hurry! Limited time offer. Offer valid only while supplies last. Looking for the paste instead? Click the blue 'See all products' to see all buying options. Please ensure you are experienced with CerMark before purchasing. Returns not accepted on open product. If you have any questions about this product by Spotted Dog Company, contact us by completing and submitting the form below. If you are looking for a specif part number, please include it with your message.